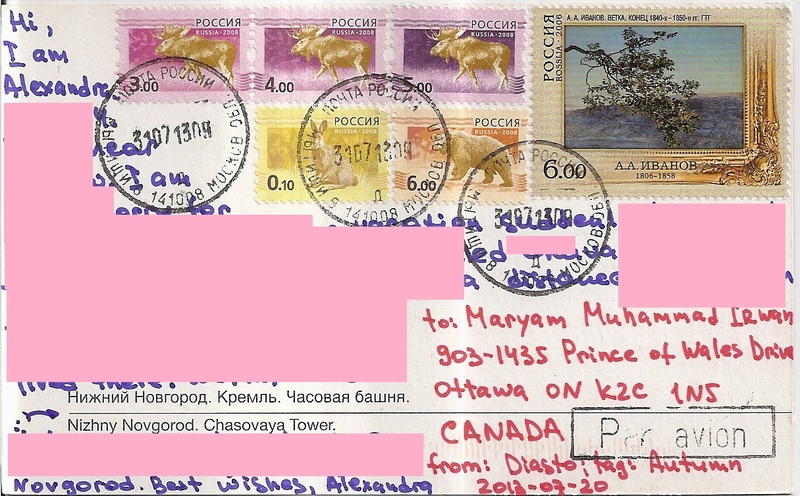 A postcard from Russia, received from Alexandra fro autumn tag in postcrossing forum. 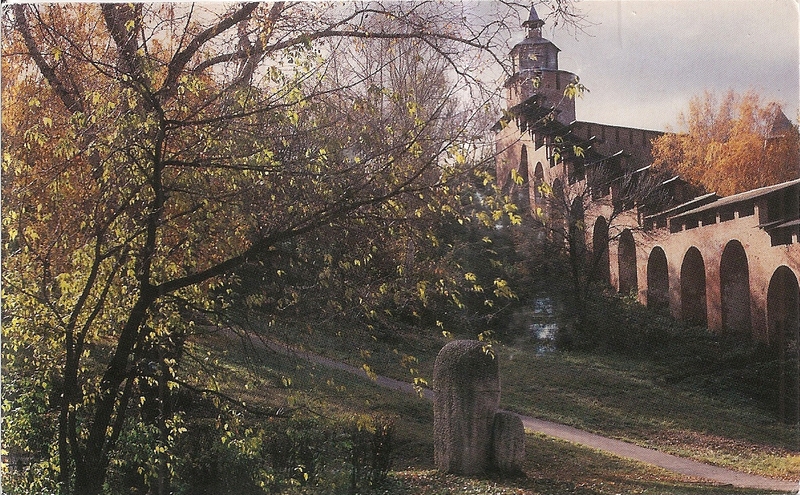 The postcard shows a view of Chasovaya Tower in Nizhny Novgorod Kremlin in Nizhny Novgorod in fall. At the back, Alexandra affixed one commemorative stamp and five definitive stamps. The postmark date is 31 July 2013. 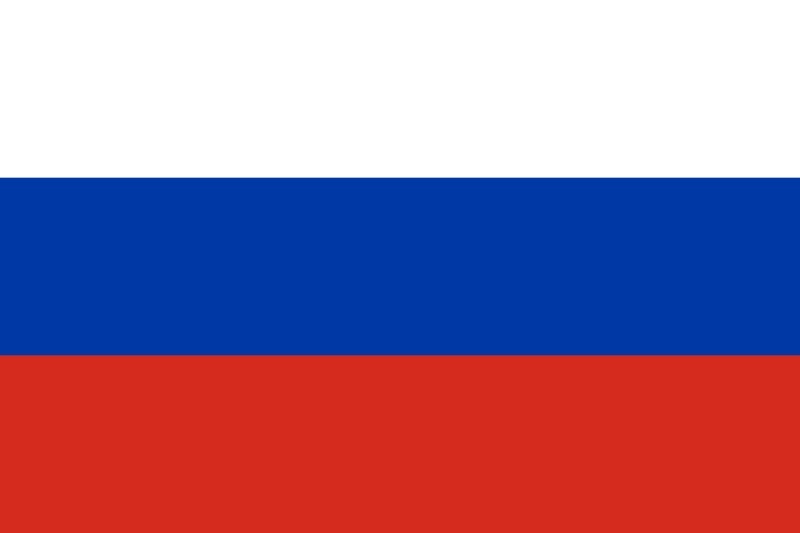 Thanks a lot Alexandra!